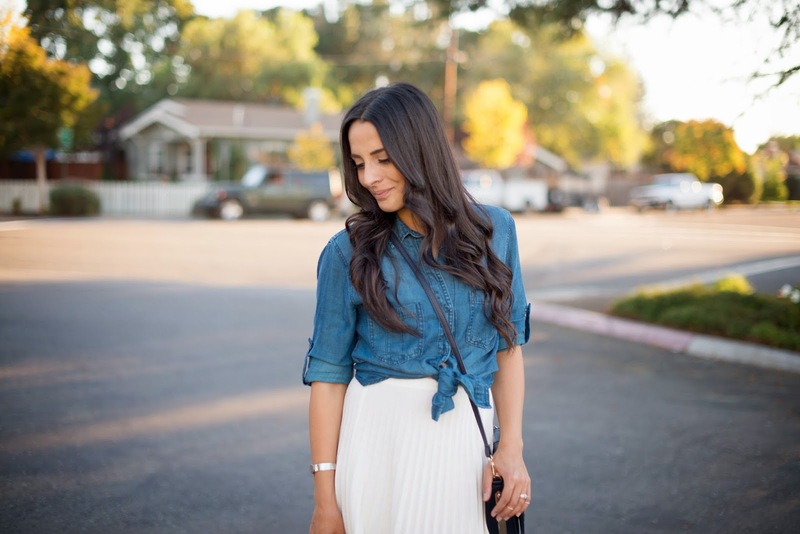 Chambray tops are one of the most versatile item in my closet. I can dress them up or down, layer it over a t-shirt or tie it over a skirt, or wear it tucked into leather pants with heels. Chambrays for the win, guys! I decided to go with this one with a bright blue wash and paired it with my structured cross body (both from Marshalls). 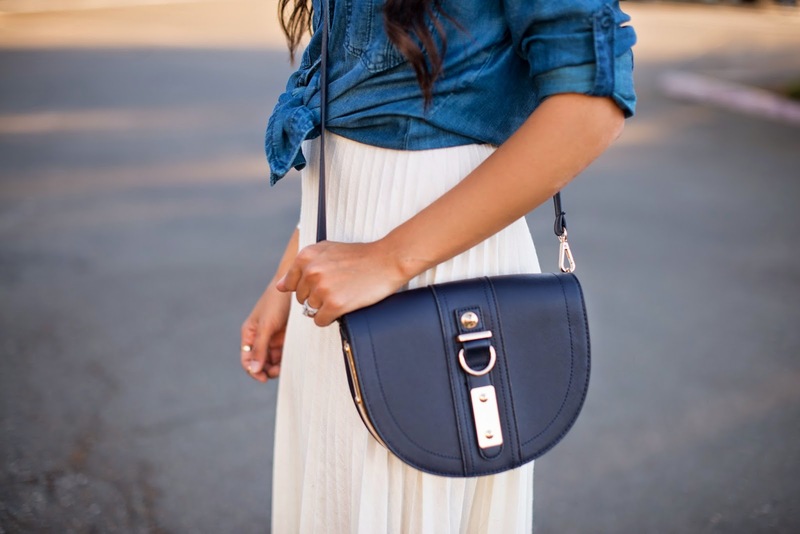 This bag is another item I'm just obsessing over lately. I usually gravitate towards the more pricy bags, so when I picked up this one I was shocked to find it was only $24.99. Insane! It's has super soft leather with heavy hardware- a must in my book! One I saw this beauty, I began to create outfits in my head and daydreamed about wearing it everyday. It's the perfect size for fitting all my normal purse necessities and I love the structured look. This bad boy is a recent find, so jet out to your nearest Marshalls and scoop this bag up for yourself. Speaking of...I had a giveaway posted on my Instagram and used a super high-tech way to pick a winner- names in a hat! You can never go wrong with that. Uriah picked a winner and Jamie Hoeppner it is! I'll send you your Marshalls gift card this week. Thank you to everyone who entered and I'll be having a few more giveaways coming up soon. As always, thank you for reading and your continued support. 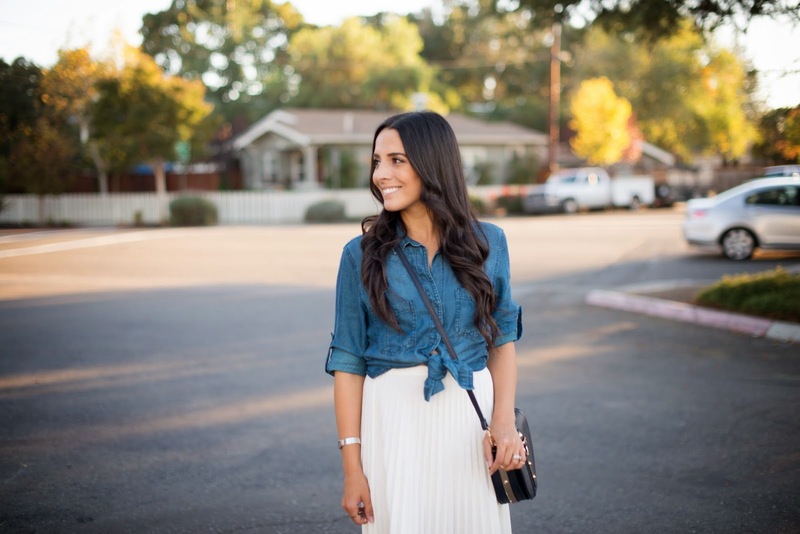 The pleated skirt is so pretty and love how you paired it with a denim shirt!